Analysis: This is Hardy's event to lose. 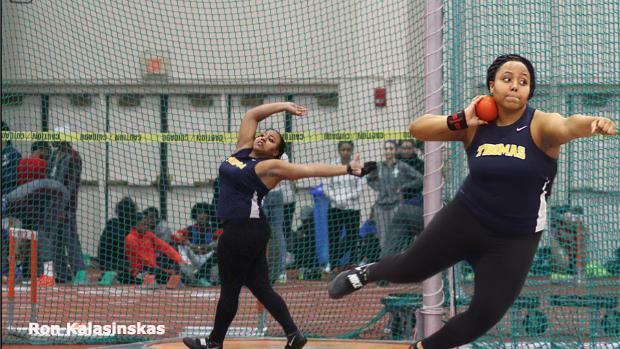 The junior from Webster Thomas (NY) High School holds a firm grip as the nation's top weight thrower (62-9.5), considering she's marked five throws over 60 feet since the beginning of the indoor season. Just one other girl, Classical's Cheyenne Figueroa (61-0.25), has been able to mark over 60-feet and she achieved that feat just once this season. Ultimately, Hardy will have to perform up to expectations to claim a national title, but she has the credentials as the event's favorite entering competition. Beyond those two athletes, who are US No. 1 and US No. 2, the country's US No. 3 (Hayden), No. 4 (Kelly), No. 6 (Surdej) and No. 9 (Kowalski) are also in the field.